For 2018, the GMC Yukon's tire pressure monitor comes with tire fill alert. Yukon Denali now features a 10-speed automatic transmission and also receives minor exterior revisions. 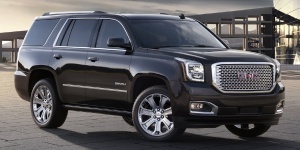 Get the best price for the GMC Yukon of your choice from a dealer in your area. Request a price quote now.